Finished making a new storysack for school, ‘Goal!’ a Preston Pig book. 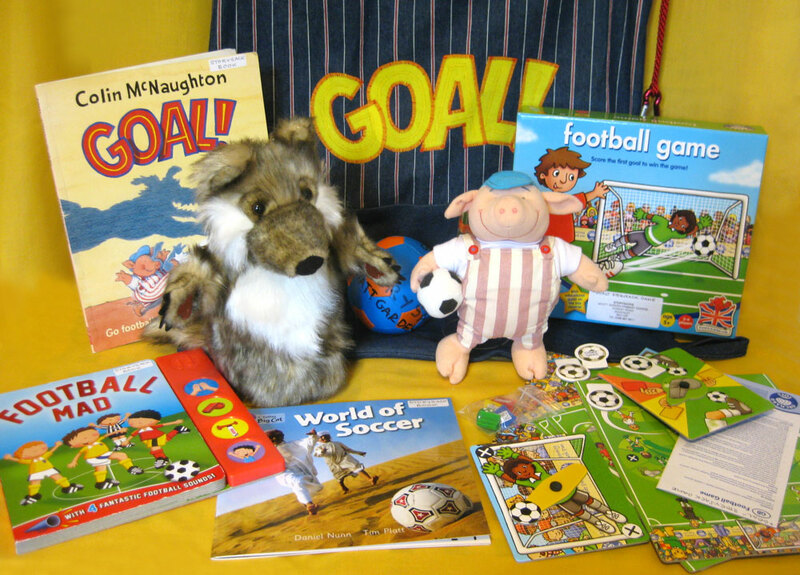 I’ve wanted to make a football themed storysack for ages, to capture the interest of some of our more reluctant young male readers. After a couple of years of waiting I finally spotted a Preston Pig toy, complete with football on Ebay (still in his original packaging!) – so I was able to put this storysack together over the summer. I’m quite pleased with the cloth sack too, quite stylish, made from oddments left over from apron-making and a nice appliqué logo! This entry was posted in Storysacks, Studio posts on September 11, 2014 by lisabenn.